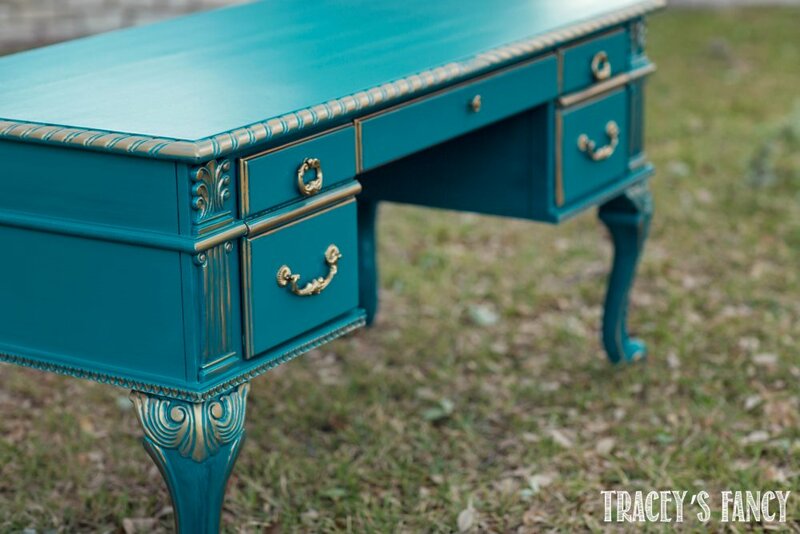 She chose a deep rich teal accented with gold. This color played nicely off the other neutral colors she was using in her home. Metallic gold accents were used to enhance the detailed carvings. And yes….above I said “other neutral colors” she was using in her home…but I did NOT say “boring”! WOW! 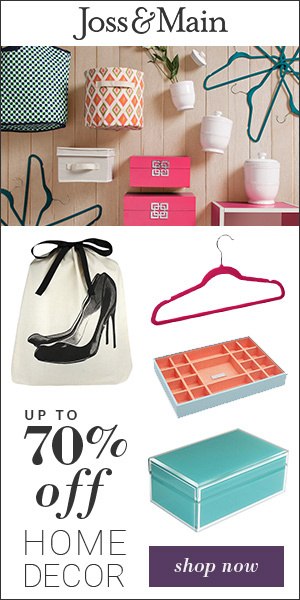 Neutral colors on NOT-SO neutral pieces of furniture……!!!!! My client’s space may be small….but her taste in furniture….and most likely her personality…..are NOT so small! I’d say she leans on the somewhat dramatic side…..and I LOVE it! Don’t let limitations like “space” keep you from going BIG! 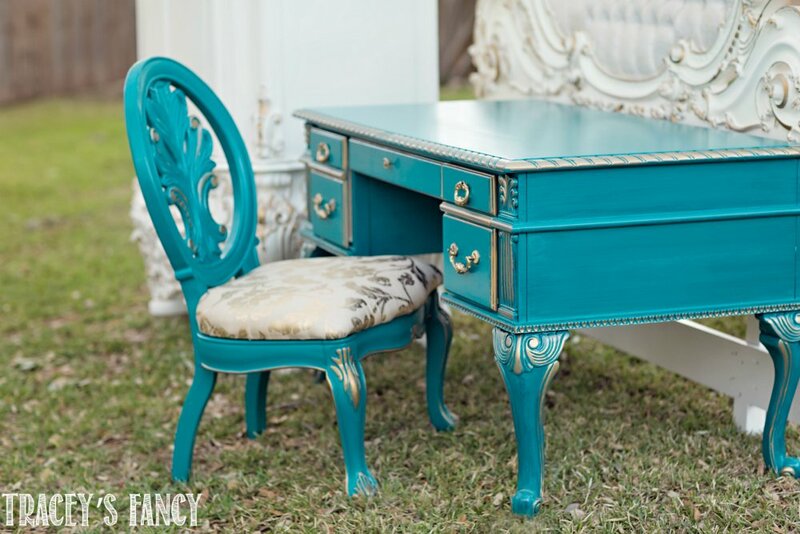 Follow your heart…..and paint your own furniture JUST they way YOU want it! 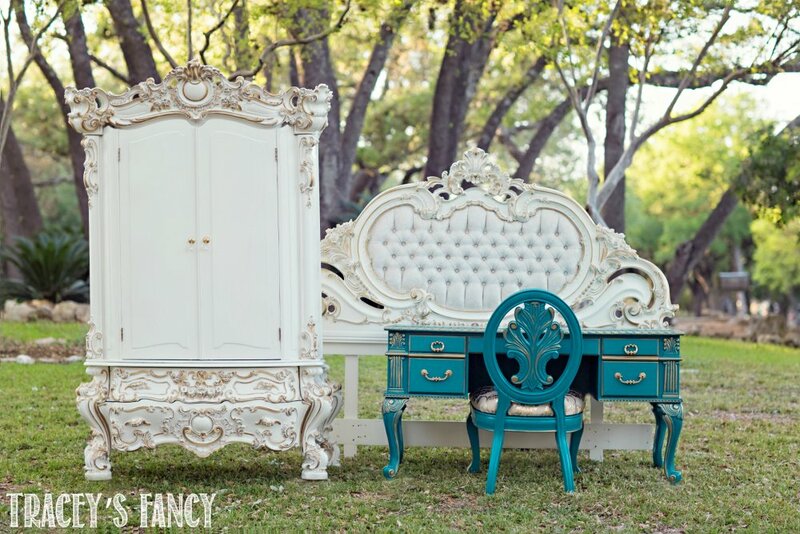 See more of this gorgeous white and gold whimsical bedroom furniture here. 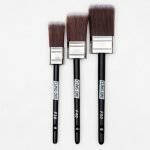 Here are the paint colors and products that you can use for this same look. 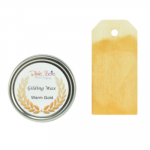 Dixie Belle Paint company offers amazing products that will make all of your projects successful no matter what your skill level is! You can also find my favorite golds on my Amazon influencer list here. 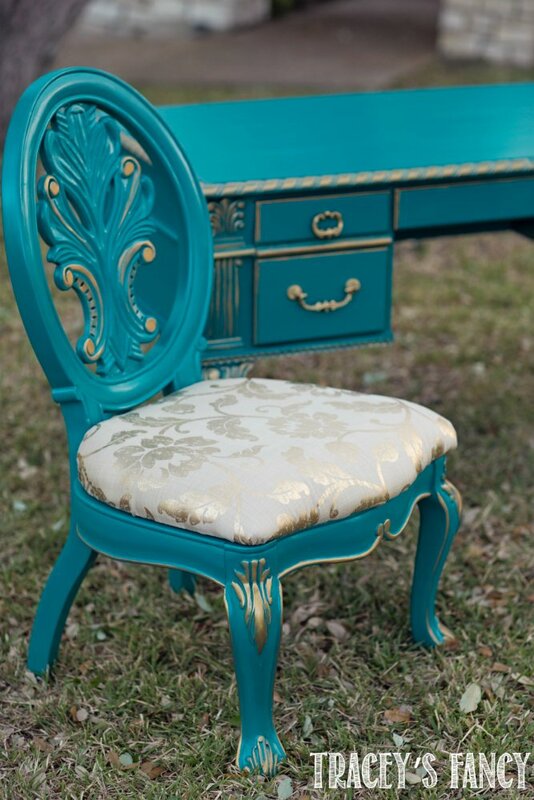 Please please please share my teal and gold painted desk pins and follow me on Pinterest!